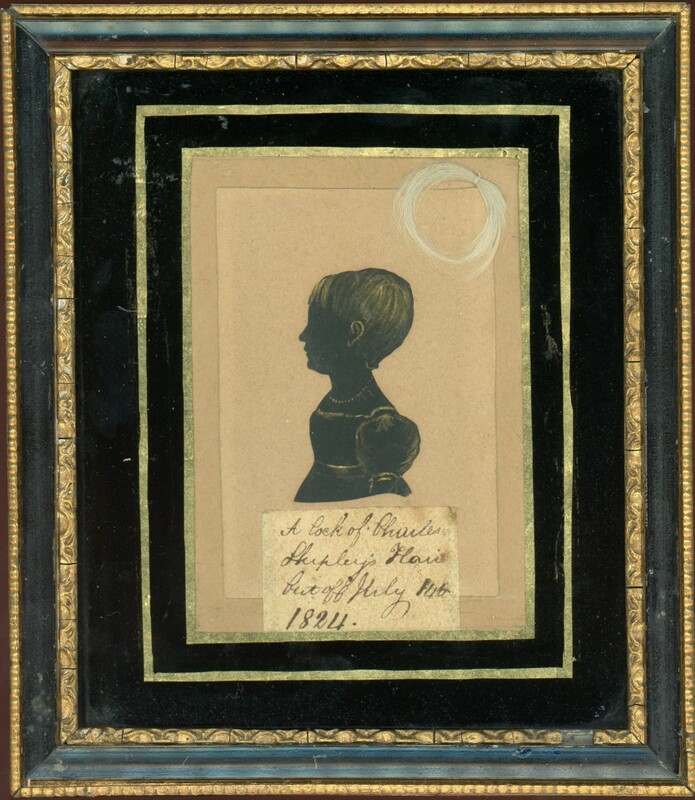 This is a touching bust-length silhouette of a little boy named Charles Shipley. 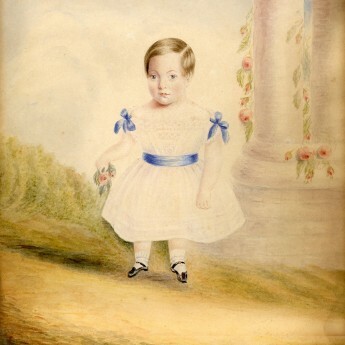 Charles is shown wearing a short-sleeved dress with a square neckline and a ribbon sash at the waist. He is also wearing a coral beaded necklace intended as a charm against evil spirits. 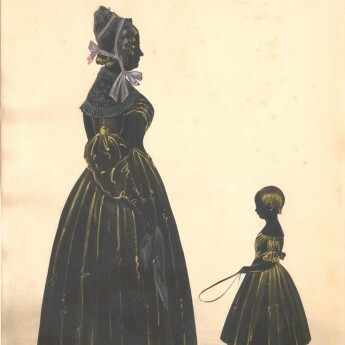 The silhouette is cut out and has been gilded. What makes it personal though is the little lock of white hair that has enclosed with the profile together with the inscription ‘A lock of Charles Shipley’s Hair Cut off July, 14th 1824’. Set in a period Hogarth frame with a verre églomisé mount. Fine condition.